Are You Kidding Me?! : Beep! Beep! Bedtime. My little one is getting ready for bed. We take his pajamas, throw them in the hamper, and get new ones out. They have race cars all over them. Of course they do because, if you’re shopping for a little boy it’s always cars, trucks, sports, or dinosaurs—none of which my 7-year-old likes. 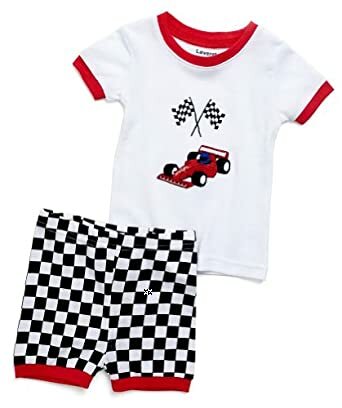 Just an FYI...these are NOT my son's jammies. I wouldn't do that to him. He looks down and doesn’t answer. I think he might actually cry. Ah…to be seven again. I’ve never liked the car, truck, dino thing either, really. And I’ve never made this poor kid leave the house in a shirt with a race car or t-rex on it. But these are pajamas. I honestly don’t know what to say so I try to make light of the situation and poke him in the tummy saying, “Beep”.